In your Jersey-Friendly yard, you can create a refuge for wildlife by providing food, water, shelter, and places to raise young. New Jersey is one of the most biologically diverse states, boasting over 1,000 different native species. You never have to travel far to enjoy local wildlife; in fact, one of the best places to start is in your own yard. Every day offers a new experience – a goldfinch devouring seeds from a Black-eyed Susan, a migrating Monarch butterfly sipping nectar from a Goldenrod, a toad feasting on insects in the garden – as we explore and discover nature at our doorstep. In your Jersey-Friendly Yard, you can create a refuge for wildlife by providing food, water, shelter, and places to raise young. New Jersey is the most densely populated state, and development has led to the loss of thousands of acres of forests, meadows, and other valuable wildlife habitat. Many once-common species have declined in numbers as a result of this loss. We can help reverse this decline by restoring some of the lost habitat, Jersey-Friendly Yard by Jersey-Friendly Yard. New Jersey’s plants and animals evolved together and depend on each other for survival. Native plants provide food (e.g., nectar, seeds, nuts, fruits, leaves, and roots) for native animals, which in turn help plants reproduce by dispersing pollen, seeds, and fruits. 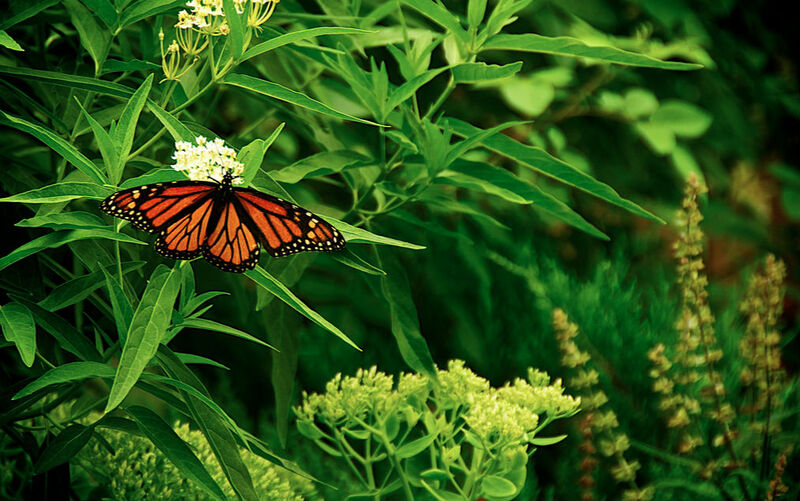 Attract wildlife to your yard by planting a variety of native plants to provide year-round sources of nutrition. Be sure to include some plants that offer flowers and fruits during the early spring, late fall, and winter months, when food is often scarce. Don’t be too tidy when cleaning up the yard in the fall – allow the seed heads of flowers and grasses to remain standing as a winter food source for birds and other wildlife. At times when natural sources may not be enough, consider supplementing with feeders that offer additional seeds, nuts, fruits, and suet. Wildlife needs clean water for drinking and bathing. Some animals depend on water for reproduction; others spend all or part of their lives in water. Provide your own source of clean water, such as a bird bath, puddling area for butterflies, or shallow pond, to support wildlife in your yard. A good location for a bird bath or other human-made water feature is near shrubs or trees, where animals can quickly reach cover to hide from predators. 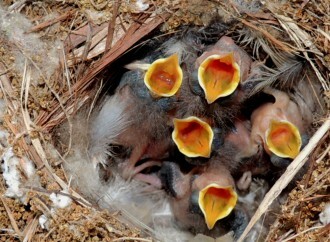 Animals need hiding places from predators, people, and harsh weather; they also need safe places to raise their young. 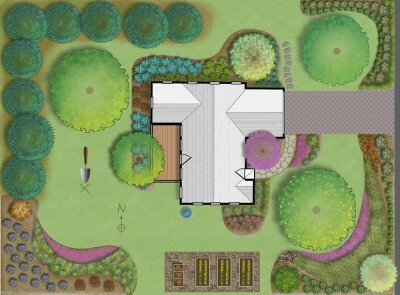 Creating these places in your yard is easy. Plant trees, shrubs, and perennials in groups to form protective thickets. 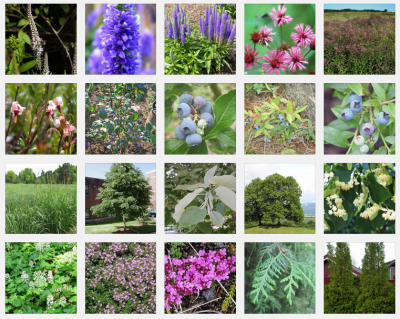 Mix plants of various heights – different layers of vegetation from taller trees to shrubs to groundcover offer a variety of cover types and nesting sites for wildlife. Collect sticks and branches to form brush piles where small animals can hide. Whenever possible, allow standing dead trees to remain in your yard – birds, bats, and other animals make nests in the cavities of dead trees and feast on the insects and other organisms found on the decomposing wood. Set up special “houses” for birds, bats, bees, or other wildlife to create additional shelter and nesting sites in your yard. Animals need a warm, dry, and safe place to spend the winter. Beneficial insects, such as butterflies, caterpillars, and bees, spend the colder months inside dead stems or nestled among leaf litter. Allow the stems of flowers and ornamental grasses to remain standing until spring; they not only provide much needed overwintering habitat but also add winter interest to the yard. Instead of blowing leaves away, pile them up on top of garden beds or in corners of the yard to create warm winter retreats for wildlife. Create rock, log, or brush piles to provide overwintering places for salamanders, toads, and other reptiles and amphibians. Contact with pesticides can harm or kill beneficial insects like butterflies and bees, and also sicken or kill the birds and other animals that eat them. The unnecessary overuse of pesticides not only wastes time and money – it leads to problems for both human health and native wildlife. Learn how you can manage pests while minimizing the use of toxic pesticides in your Jersey-Friendly Yard. Fertilizer overuse can also harm native wildlife, especially the fishes and other aquatic animals found in our rivers, lakes, and bays. Learn how to have a healthier yard by reducing the use of synthetic fertilizers.